WrestleMania III is to Hulk Hogan what Russia is to Donald Trump. He knows he was there, but he's hazy on the details. One particular memory that does stick out to the Hulkster is the emotion he felt that momentous day in Pontiac. On an episode of MTV Cribs, as Hogan shared many of his factually deficient recollections of WrestleMania, the sentiment of the occasion got to him. Recalling the moment he finally slammed and pinned Andre, Hogan's sorrow got the better of him as he claimed the moment was so special to him, as Andre sadly passed away merely days later. Never one to be constrained by fact, it must have slipped the Immortal One's mind that the Giant had in fact defeated him for the WWF championship in their rematch for the title a year later in 1988. 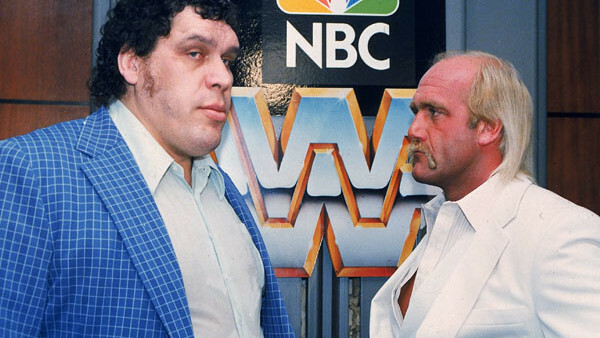 Andre, did, of course, die after WrestleMania III - six long years after WrestleMania III. Never let the truth get in the way of a good yarn, eh Hulkster?